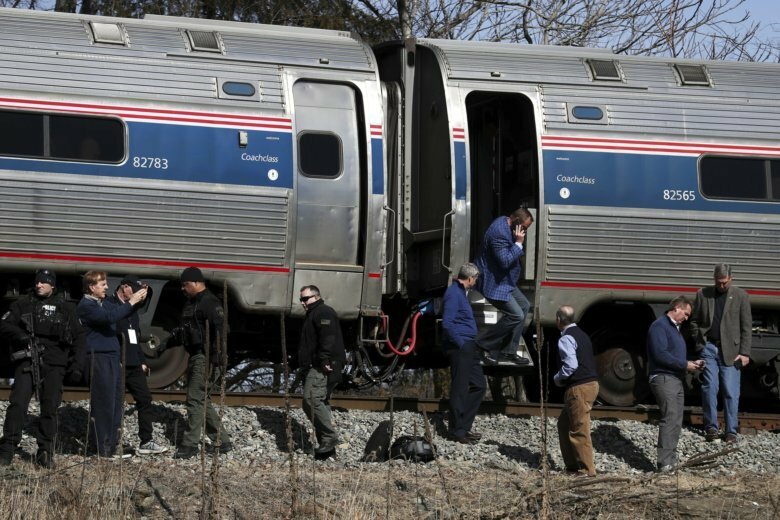 Federal investigators have released nearly 100 documents that detail last year's fatal accident between a trash truck and an Amtrak train that was carrying Republican lawmakers in Virginia. NORFOLK, Va. (AP) — Federal investigators released nearly 100 documents Tuesday that detail last year’s fatal accident between a trash truck and an Amtrak train that was carrying Republican lawmakers in rural Virginia. Photos, witness accounts and other information were made public ahead of a final report that will be released sometime soon, said Keith Holloway, a National Transportation Safety Board spokesman. The documents do not change the basics of what authorities say happened in January 2018: The train struck a trash truck that had entered a railroad crossing after the safety gates had come down. But the various reports offer a minute-by-minute account of the tragedy from those on the train and people living nearby. One of the garbage truck’s passengers died, and another was seriously injured. A congressman on the train suffered a concussion, while others sustained minor injuries. During an interview with investigators, the train’s engineer said he initially wondered if the garbage truck was some kind of “setup” given the train’s high-status passengers. “So it was just odd, with the people I was hauling and the garbage truck just stopping, because he had plenty of time. When you see the video, he had plenty of time to clear,” said Robert Shawn Young, the engineer. The train was carrying Republican members of Congress to a strategy retreat at the Greenbrier resort in White Sulphur Springs, West Virginia, when the crash occurred in Crozet, just outside of Charlottesville. Young said the impact sounded like an explosion. He found himself in a “pile” of people on the locomotive floor near a bathroom door. Former Minnesota Republican Congressman Jason Lewis was in one of the train’s passenger cars. He told investigators that he saw people who were standing up fall to the ground. He said he was dazed after the side of his head struck his seat. Emergency responders insisted that he leave on a stretcher. A doctor later told him that he had a concussion. People who were driving by said one man was slumped over inside the trash truck. Two other men were on the ground nearby. Holloway, the NTSB spokesman, said the agency’s final report will offer conclusions and a probable cause for the crash. The trash truck’s driver, Dana William Naylor Jr., was indicted locally on involuntary manslaughter and DUI charges. His co-worker who died was Christopher Foley. But a charge of maiming under the influence was dropped after a judge ruled out certain scientific testimony and blood evidence, the Daily Progress reported . A jury found Naylor not guilty of involuntary manslaughter last month. He still faces civil suits filed by people who were on the train.